It's that time of the year - time to do your taxes. While some Americans will attempt to do their taxes at home, the majority will seek some type of professional help (about 80% either use a paid preparer or tax software). If you're pressed for time or uncomfortable with taxes, hiring someone to do them for you can be a great help. But, just like with anything you outsource, you need to do your homework to make sure you don't get scammed. Tax preparation is no different. Here are three things you need to think about when going to get your taxes done. These issues are common, even at major tax preparers. If you want to do your taxes yourself, check out our list of the best tax software this year. 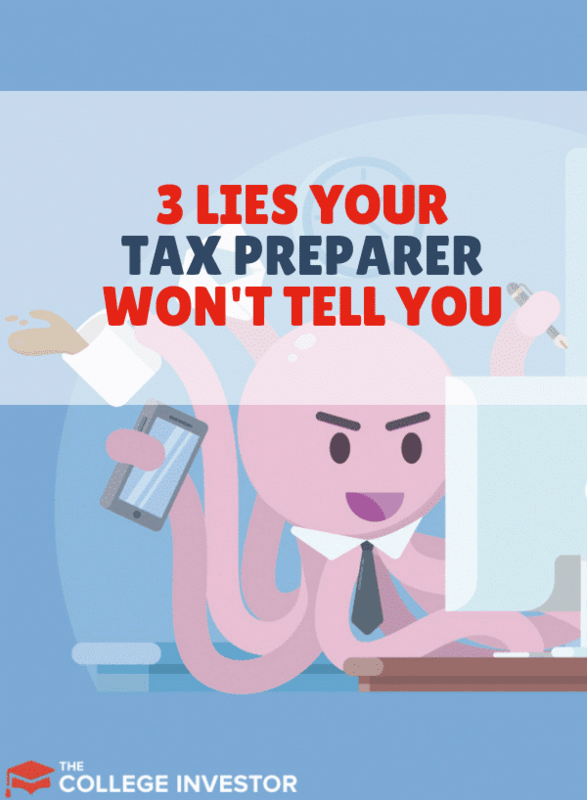 Be vigilant to these three things that your tax preparer is probably not going to be upfront with you about. Did you know that just about anybody can be a paid tax preparer? Literally, anybody. There are very limited requirements for any type of certification, training, registration, or competency testing. The IRS tried to put new measures into place, but the courts have an injunction in place for the time being. While many big companies like H&R Block send their employees through in-house training, that may not always be the case with franchised tax preparation companies. That means the first thing you want to consider is how long the paid preparer has been doing taxes. Since there is no mandatory qualifications that must be done, you need to check their experience. Is this their first year doing taxes, or are they a seasoned professional with 20 years under their belt? Have they even filed their own taxes before? Seriously...there is nothing stopping a high school student from being a paid tax preparer. Now, there is nothing wrong with using a new tax preparer. In fact, they may be cheaper, or more tech savvy than someone who's been doing it a long time. But, if you have a complex return, you may want someone who has experience doing that type of return to help you with your taxes. Along with how long they've been preparing taxes, you also want to understand how much experience they have and whether that experience matches your needs. For example, a high school student could be a great tax preparer for a simple return - plug in your W2, enter your interest income from your 1099-INT, check standard deduction, and done. But what if you run a small business? What if you've derived income from multiple sources, including royalties or partnerships? If you have a rental property, how will they help you understand your expenses and the type of depreciation schedule you need? Are you doing a trust tax return? At this point in time, you may also want to consider if a paid preparer is right for you? Maybe you would benefit more from someone that does have an advanced certification, like a Certified Public Accountant (CPA)? The bottom line is that you need the experience of the person preparing your taxes to match your needs. You can also look at services like H&R Block Tax Pro Go, which is a nice hybrid of doing it yourself and having someone with experience help you. Plus, you're backed by a national brand, which can be useful if you experience any issues. Finally, it is always important to understand how your tax preparer is really making money. And it may not be very obvious from the start. First, the tax preparer will probably get either a flat fee for processing your return, or will bill you hourly depending on your setup. If you have a basic return, you can probably expect to pay up to $150 (which was the average receipt at H&R Block for tax filing in 2014). However, if you utilize a CPA and have a business that requires multiple returns, 1099s to be mailed, and more, you could easily pay over $1,500 for preparing your tax return(s). But the real money in taxes doesn't come from doing returns, but from selling add-ons. Tax preparers big and small benefit by up-selling their customers on a variety of products. The one you're probably most familiar with is the refund anticipation loan. This is where the company agrees to let you walk out of the shop today with a portion of your return. That's a huge selling point, but it can cost you big-time. For example, if you're expecting a $1,000 return, they may lend you up to $600 (or some other percentage). If you don't pay back the $600 by the date due, the tax preparer will keep use your tax refund to pay the loan, the interest, and fees associated with it. This is a very costly way to be impatient, because if you look at when to expect your tax refund, you'll know that 90% of tax refunds are issued with 21 days. Just wait it out! Another big product that tax preparers pitch is a retirement account to deposit your refund in. The preparer will then get a commission from the brokerage company where you open an account. While this isn't necessarily a bad thing, you want to make sure that the account actually aligns with your needs. Most people who sign up for this don't understand what they're getting into, and break the rules of the account (like withdrawing the money). This, in turn, makes them pay more in taxes and fees the following year. Finally, many tax preparers and even some CPAs will offer their clients insurance as peace of mind for potentially getting an audit. They claim to offer protection to cover potential back-taxes, fees, penalties, and more. However, what they don't tell you is that you don't need to buy this insurance because you're already covered by the agreement you had with them to do your taxes! If you read the fine print of your contract (at all the big tax preparer chains and even most CPAs), they will typically have a guarantee that if they made an error, they will pay for the back taxes, interest, and penalties associated with it. If you're unsure, ask about it in advance. This is specifically what errors and omissions insurance is designed for. A professional tax preparer should be compensated for their time, even if they provide little value. 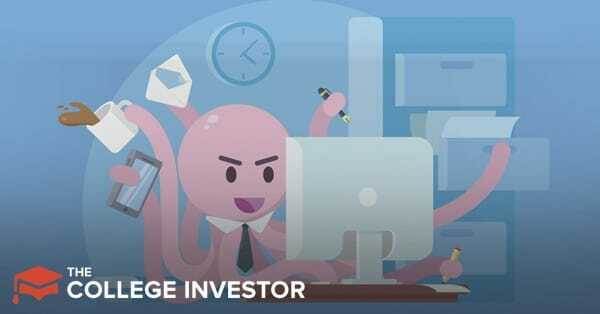 If you have a simple return with just a W2, it doesn't take much time and the price should be reflective of that - because you can probably file your taxes for free if you did it yourself. A good tax preparer should be doing more than just filing your taxes once a year. Remember, for the most part, the preparation of a tax return is just data entry. A good tax professional helps you get the data right a year before your tax return is due! And helping you in tax season is probably not the right time to ask. A good accountant/CPA/EA should be helping you understand how to lower your taxes and effectively structure your financial life. This is especially important for businesses, but it could also be the case with individuals approaching retirement, paying for college, or more. A good tax professional is worth their weight in gold if they are helping you save on things like personal finance, home purchases, retirement planning and education funding. And you should expect to pay for this, but it's a really great value add beyond simple tax prep. The bottom line is that just because your tax preparer won't tell you something means you can turn a blind eye to it. Now that you know what to look for, you need to ask in advance. That is the best way to protect yourself before you pay for a bad service, or worse, have to deal with an audit from the IRS. The choice is yours: do your research or cross your fingers in ignorant bliss. I know I have some CPA readers...what else should you look out for when paying someone to prepare your taxes? For me the big question is when/if to move to getting a CPA. Right now my taxes and life is pretty simple, so I’ve been doing my own taxes. I think if I bought a house or got involved in rental property I would certainly use a CPA, but I’m wondering if there are other when bringing a CPA on board would be wise. Buying a house is still pretty simple to figure out. If you have a rental property or a business, you may want to consider getting a CPA to help you out. Good post Robert! I did taxes for one season with H & R Block and I can attest to the fact that they allow pretty much anyone and everyone do them. The scary thing is that they’re among the more rigorous in terms of any requirements. They make a lot through upselling and offering other “products”. I did my/our taxes for 15 years and would not generally feel comfortable having them do anything much beyond a very simple return. We actually hired a CPA ourselves last year as we run our own business and just became something I was not confident in doing anymore. Thanks for sharing! I don’t think a lot of people realize that paid tax preparers are as much salesmen as they are tax people. Great post. And #3 really kills me. I hate hearing about RAL’s and other money scams that are passed off by big companies as legitimate “services”. I literally cannot listen to the H&R commercials, I have to shut them off. I’ve got 3 years of experience under my belt, but work for a small firm where the owner has 43 years. We review all returns twice and are VERY details in terms of considering all ways to approach managing depreciation, expenses, deductions, etc. So, in my case, I may not be the most “experienced”, but I am a licensed Enrolled Agent and have the right kinds of experience to help my clients. And I will be the first to tell them if something is beyond my experience, no use in faking it, bad idea for long-term client relations. Thanks for sharing your story Jake. I’m glad to hear that you really care and there are preparers that care. However, its always the unscrupulous ones that ruin it for everyone. Great post. I try really hard to stick with tax preparation software if at all possible. I didn’t know about the specifics of number three either which is pretty discouraging. As they say, knowledge is power and the more you know, and lots of other PSA type sayings. Wow, #3 is basically a smack to the face! That’s probably the biggest scam out there if I’ve ever heard of one. Seriously is it even legal to have someone pay for a service you already offer for free? Interesting….and a bit eye opening! I use a CPA to get my taxes done, and it’s worked out for me. It’s just that person, and nobody else working on it. Very tough to get an appointment, but worth it since none of those games are played! Good point on the ancillary services. I generally dont sign up for any of the add ons like the insurance, peace of mind guarantee etc. I put these in the same category as extended warranties, which I generally dislike. We always use VITA to do our taxes. 2015 will probably be the first return that we don’t. But I always run through my stuff first before taking it in. By comparing notes, I’ve found mistakes made by even the most experienced preparers, and they make sure my math is legit. I’d do this with paid services, too. For those big box preparers, they tell you your numbers before charging anything. Good way to double check and make sure they’re worth it before spending a cent. You can call the IRS if you are concerned. You could also have a tax preparer look at your past returns this year and see if anything was amiss. Great Article. I live in CA, one of the only states that requires all paid tax preparers to take 20 hours Tax Training/Classes. I was one one of the few happy when IRS tried making this a requirement for all paid tax preparers. I started at H&R Block, I left after one year. I have never in my life worked for a company so misleading. The only pricing employees have knowledge of is the Form 1040EZ. After few times of working split shift with office 1 hour away (including the last day of tax season) I realized the fees we charge at my office were way higher than the fees in the other office. A $750-$850 tax return in my office, was only $400 in other office! The offices are in the same district, also anyone w/earned income credit was $380. And the topper was the fees are completely automated, employees had no control over it. I still have no idea how they are still in business. Thank you for informing everyone that “peace of mind” is free, this is exactly what the bond covers. I tell everyone this. I did my taxes, but for some reason the tax preparer put their company’s back account so they could deposit my refund into there. He said that their going to take out a fee and I’ll have to go pick up my check at his office. Since I don’t know cause it’s my first time doing them. Should I let the IRS know about him not putting my bank account on my tax papers? What should I do? If you didn’t pay your tax preparer, but were going to use your refund to do it, this is an acceptable way to do it. In the future, if you’re uncertain about this tax preparer, you could pay them directly and have your tax refund deposited into your own bank account. Also, you could always file your taxes yourself. For most people, it’s pretty easy and straightforward. If you can read and type, you can file your taxes yourself. And, you’d probably save a lot of money! Is it also true that I’m going to get a letter first from the IRS and I have to call the number and their going to ask me if its okay to get my check and after that in two weeks more weeks I get my check??? It’s rare to get a letter for the IRS to verify anything. If you do get a letter, simply follow the instructions. To Clarify, the “peace of mind” offered by block covers only up to $6000 in additional taxes but the truth is that it will only pay if it is their error which by the client signing that they agree to what has been filed they have lost all ability to dispute it being in error. note: This year the IRS has put identity verification into high gear. Tax payers are receiving letters to verify identity for several reasons didn’t file last year, change of address, change to non employee income. It doesn’t give any preference to any group. I went to file my taxes and I immediately felt uncomfortable through the entire process. The preparer got several people to work on returns and they never spoke to me about anything. They simply took all my documents and had me set there for over 30 minutes, scanning all my credential while never speaking to me. Can I withdraw my paper work ? The firm is holding on to them, cause I didn’t have $300 to give them. My taxes were never submitted yet. I have to pay in, but I want a second opinion. Can I retrieve my paperwork without complications. You should be able to. That’s odd that they kept your paperwork. I understand not filing your return, but they should have returned the documents you brought in. By law, they have to return your documents to you when you ask. Yes, you would still need to pay your tax preparer. The offset is usually due to a debt you owed. That’s not the tax preparers fault.